Ledbury Cycle Hire01531 635024work Cycle HireLedbury Cycle Hire is run by the Wilce family from our family farm, The Old Kennels in Ledbury. 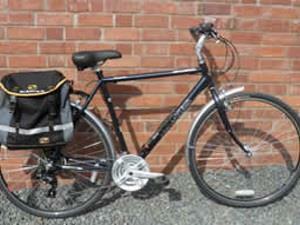 We are the only cycle hire in Ledbury and have a range of new bicycles, even a tandem! All of which we hire out at competitive rates. All the cycles we stock for hire are Dawes, however if you would like to buy one for yourself we can supply any Dawes bicycle from their extensive range of high quality bikes. Two day and seven day hire is from 9am on first day to 6pm on last. Any other times need to be arranged beforehand.Charges are inclusive of Helmet, tool kit, lock, and backup service. Bikes must be pre-booked and the booking form returned with heights of riders – this will confirm the booking. Booking forms are avaialble to download from our website. Please complete and return the booking form by post or email. We know you’ll enjoy your cycling experience around our beautiful area.